Used to track long-term power supply interruptions or voltage on/off cycles in equipment, for example motor (compressor) duty cycles. This product records the dates and times of supply voltage being above (on) or below (off) a user set threshold voltage which is user defined. This logger uses RS232 communications with the PC, if you do not have an RS232 (9 pin D) serial port, you will need a USB to RS232 converter (see Recommended Products below). 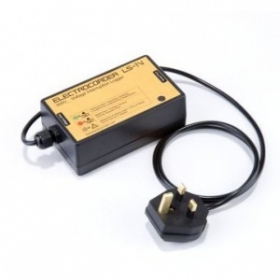 300V single phase cycle logger. Ideal for long term logging. Up to 32,000 on/off events recorded.